The Philippines has a treasure trove of museums and national historical landmarks that celebrate its heritage. What better way to spend Independence Day than by commemorating our rich history? Here, we collated a list of amazing places that will, no doubt, make Filipino pride swell from your chest, as well as remind you that your country is definitely one worth fighting for! We’ll start this list off with a place that isn’t a museum in its traditional sense. In fact, Bahay Nakpil-Bautista is actually a national historical landmarked house! Known as the Tahanan ng mga Katipunero, it served as a home to those who actively participated in the 1896 Revolution. Notable residents of this house are Julio Nakpil, the famed musician (Andres Bonifacio commissioned him to compose what was supposed to be our national anthem!) and revolutionary; his wife, Bonifacio’s widow, Gregoria de Jesus; Dr. Ariston Bautista, the propagandist who restyled the house into its unique (and very noteworthy!) appearance; and, of course, the many patriotic descendants of the Nakpil-Bautista line. Since the house hasn’t really been renovated (apart from Dr. Ariston Bautista’s restyling of it into art nouveau), it’s as if you are literally walking through time, falling into step with the greats who liberated our country so many years ago. There’s a lot of Katipunan memorabilia you won’t get the chance to see elsewhere! You also get a chance to see immortalizations of Gregoria de Jesus and Julio Nakpil (and Julio Nakpil’s many contributions to the revolution! For instance, his music!). What’s more, Bahay Nakpil-Bautista isn’t just visited for what it holds inside; the structure itself is also incredibly important! A true Filipino house to its core, fans of architecture will surely admire the beauty of its simplicity! Modeled after the bahay kubo (nipa hut), you only need one look to see how this house fits in perfectly in the Philippines! These aren’t the only reasons why you should visit the house, though; the house itself is already a story! Treat yourself to a visit to Bahay Nakpil-Bautista and you’ll be told stories that fit your interests and personality! Are you into the building? Then you’ll learn so much about its art nouveau style, and how relevant the house is to the country architecturally! Are you into heritage? Then you’ll be swept into the past! Get a taste of your history for only Php80 (Php50 for grade school/ high school students, and senior citizens; free, if you’re below five—so it’s really the perfect place to take the family! ), you get a tour of the house with a story personalized to your tastes! Everything you will see and learn here is definitely, hands-down, worth the trip to Quiapo! 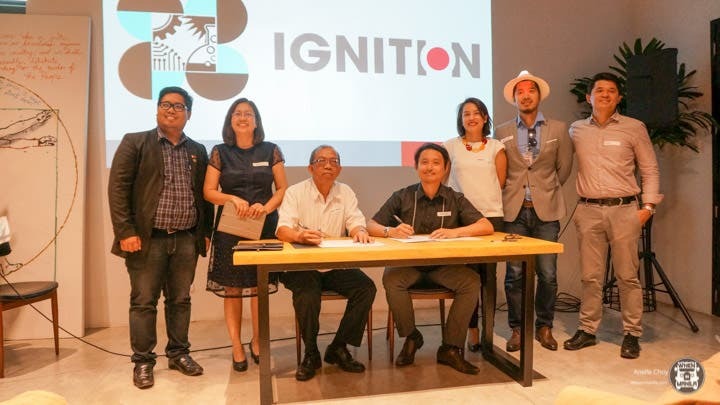 From Bahay Nakpil-Bautista to the Museo ng Katipunan at the Pinaglalabanan Memorial Shrine, you’ll surely get your fill of Katipunan knowledge! From the big names we all know and love (Andres Bonifacio, Emilio Jacinto) to the formerly faceless members of the KKK who made the revolution what it was, the Museo ng Katipunan immortalizes an incredibly important chapter of the Philippine Revolution! Try your hand at finding your name on this long list of heroes! The museum showcases authentic weaponry used by the Katipuneros. From the daggers they used in their sanduguan (blood compact) to the machetes they carried with them into battle, you get a full picture of what exactly the revolutionaries used to fight their wars. There are also cases displaying their anting-anting (charms)! 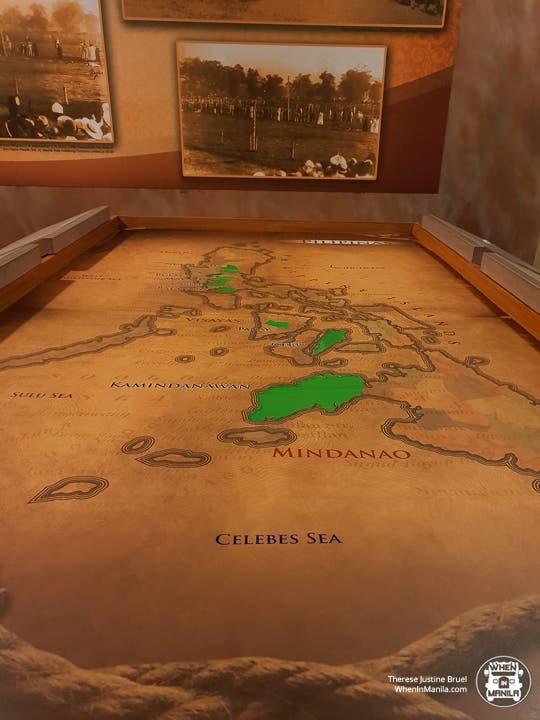 Of course, as with any other museum, you get a chance to walk into the past, but this museum somehow makes this experience even more awesome as you follow the life of Andres Bonifacio! If you’ve ever wondered what it would feel like to be Andres Bonifacio for a day, why not visit the museum? 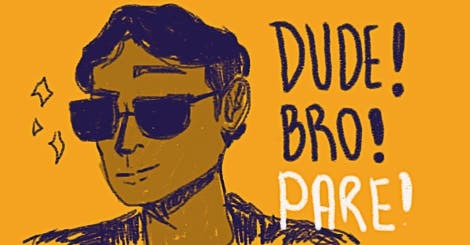 You’ll get to learn about his early days in Tondo (did you know that Andres was actually a theatre actor? Well, that’s just one of the fun tidbits you can pick up at the museum!) to what happened to him and his Katipuneros during the war. You’ll also get a sneak peek into the love lives of Andres and his very own Lakambini, Gregoria de Jesus. Get your tissues ready because you’ll definitely cry when you finally read her poem. What is it about, you ask? We’ll just leave that to you to find out to make the experience all the more heartbreaking! … to placing yourself into the shoes of the revolutionaries in this virtual experience! There’s a lot of fun to be had in this museum! And guess what—it’s all for free! That’s right—visiting the Museo ng Katipunan is completely free-of-charge! Get ready to learn about your favorite heroes (and get the misconceptions surrounding them cleared) this Independence Day! You might even be interested in their Sesquicentennial Lecture on the 23rd of June, or their Malikhaing Kabataan sa Pinaglabanan event on the 30th of June! See more museums on the next page! Live Right in the Heart of Fort Bonifacio at Uptown Parksuites!